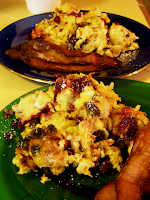 We’ve cooked up plenty of Guardian Service “Greaseless” Griddle Cakes for friends and family, but lately we’ve been serving these easy–breezy dishes with intimidating Teutonic names: Pannekoeken, Apfelpfannküchen, Salzburger Nockerln and Kaiserschmarrn. 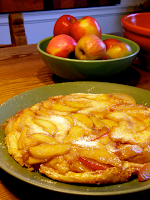 Don’t let their names and many aliases confuse you: “Dutch Pancake,” “Dutch Baby,” “German Apple Pancake,” “David Eyre’s Pancake”… They're one–pan pancakes, quick and folky yet elegant dishes, all similar in preparation, infinitely versatile and equally suitable for breakfast or dessert. You might even adapt them as a savory for a brunch or luncheon. 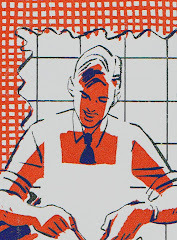 We’ve adapted these recipes, traditionally cooked in an iron skillet, for the 10” Guardian Service fryer, which serves 3-4, though you could half again the recipe and prepare it in the 12” fryer for 6-8. 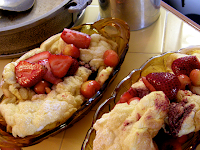 Each recipe starts with a pan of bubbling butter in which the batter is briefly fried before finishing in a high oven to bake into a golden puff, or in the case of the Kaiserschmarrn, scrambled into golden dumplings. 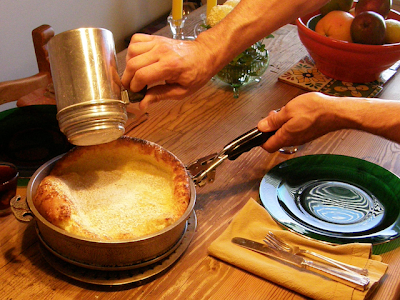 Begin with a basic Pannekoek (or “David Eyre’s Pancake,” as Craig Claiborne dubbed it in an enduringly popular 1966 article for the NY Times). 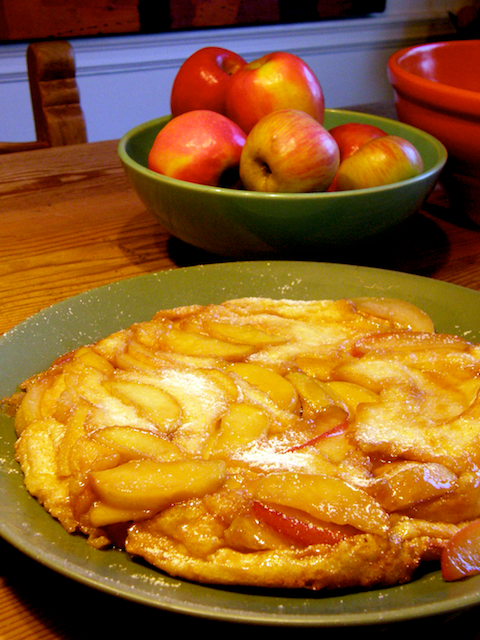 Add apples, and a bit more flour and milk, and you have a traditional Apfelpfannküchen or a German Apple Pancake. Without the apples but with beaten egg whites folded in it becomes Kaiserschmarrn (roughly translated “Emporer’s Hash”). Minus the flour, you have the sweet Austrian soufflé “Salzburger Nockerln,” or Salzburg dumplings. Simple yet showy, the original one-pan pancake. Get everyone to the table before you remove this from the oven! (Note that if you replace the nutmeg with a pinch of salt or some herbs and cooked this batter in a cold buttered skillet for twice as long, it would become a Yorkshire Pudding (or poured in muffin tins or ramekins: popovers). Our Guardian Service Gougères, has more flour and cheese and comes closer still to an eggy bread). 1. Preheat the oven to 425°F. In a mixing bowl, lightly beat the eggs. Add the flour, milk and nutmeg and lightly beat until blended but still slightly lumpy. 2. Melt the butter in the 10” Guardian Service fryer over medium heat. When very hot but not brown, pour in the batter. 3. 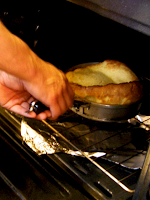 Transfer pan to oven and bake until the pancake puffs and turns golden brown at the edges, about 15–20 minutes. 4. Working quickly, remove the pan from the oven and, using a fine-meshed sieve, sprinkle with the sugar. Sprinkle with lemon juice and serve immediately with warm preserves. Serves 2 to 4. 1. Preheat the oven to 500°F. In a mixing bowl, lightly beat the eggs and milk. Add the flour and salt and lightly beat until just blended. Let rest for 10-15 minutes. 2. 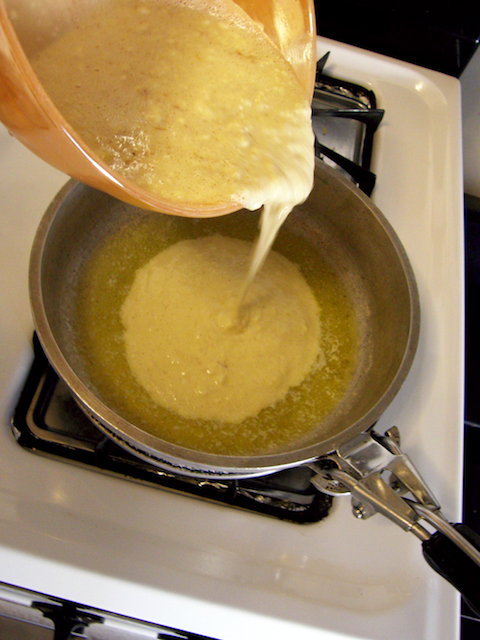 While batter is resting, melt the butter in the Guardian Service fryer over medium-high heat. When very hot but not brown, add the apples. 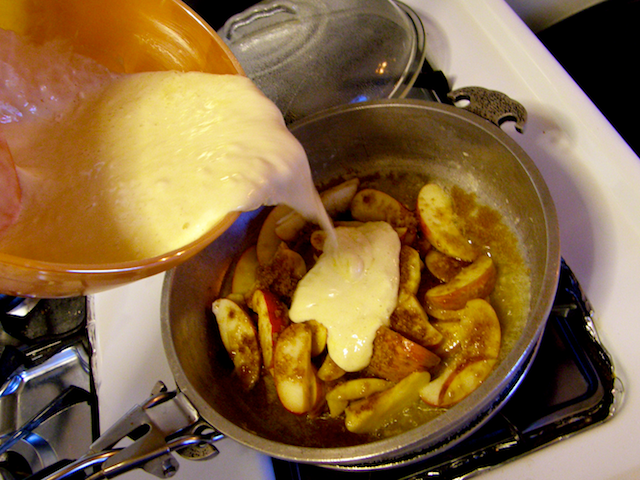 Cover and reduce heat, simmering until the apples begin to sweat. 3. Sprinkle brown sugar and cinnamon over apples and pour the batter over all. Place uncovered fryer in oven, reduce heat to 425℉ and bake until the pancake billows at the edges and turns golden brown, about 15 minutes. 4. 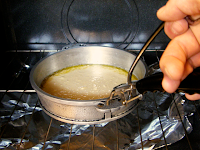 Working quickly, remove the pan from the oven, carefully invert pan onto serving plate, and sprinkle pancake with lemon or orange juice and sifted confectioners' sugar. Serve immediately. Serves 2 to 4. 1. Preheat oven to 400°F. Separate the eggs and lightly beat the yolks with the flour and lemon zest. 2. 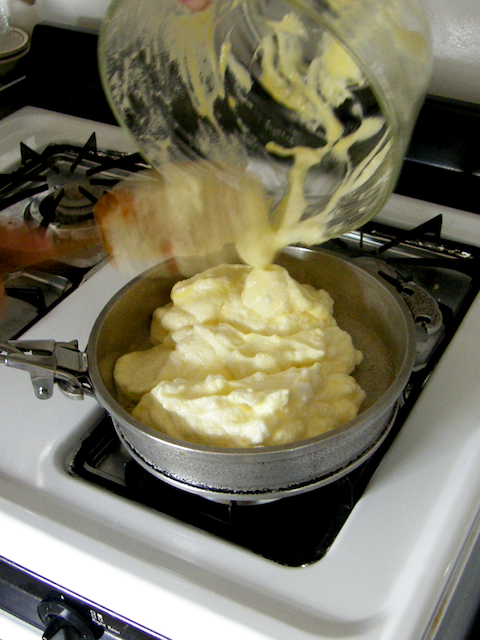 Beat the egg whites until stiff, gradually adding a pinch of salt and the sugar. 3. Fold egg yolk mixture into beaten whites. 4. Heat butter in 10" Guardian Service fryer until bubbling and spoon the batter into fryer. (Traditionally this is done in three distinct mounds to represent the three mountains of Salzburg—mine sometimes resemble the lava flows of Haleakala, but they still cook to perfection in the GS fryer). 5. Place the fryer in the oven and bake for 12-15 minutes until golden brown. Serve with stewed or fresh fruit and a light dusting of powdered sugar. 1. 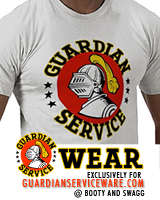 In 10” Guardian Service fryer, simmer raisins with 2 Tbsp of water and/or rum, bourbon, etc. 2. Separate eggs. Beat yolks with sugar and vanilla until golden, gradually add milk and flour, alternating until mixed into a smooth batter. 3. 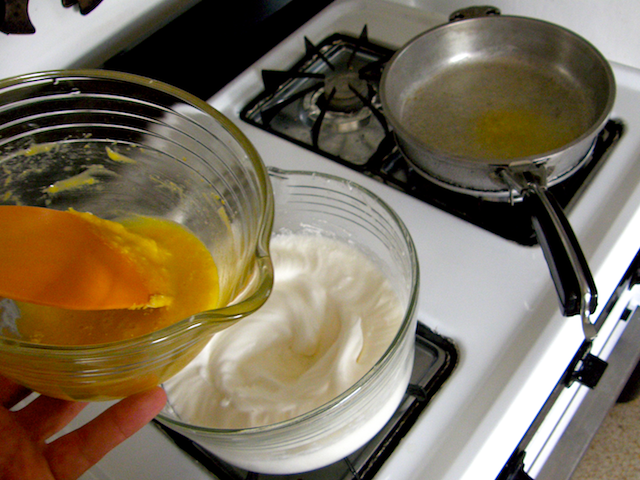 Beat egg whites until stiff, adding a pinch of salt. 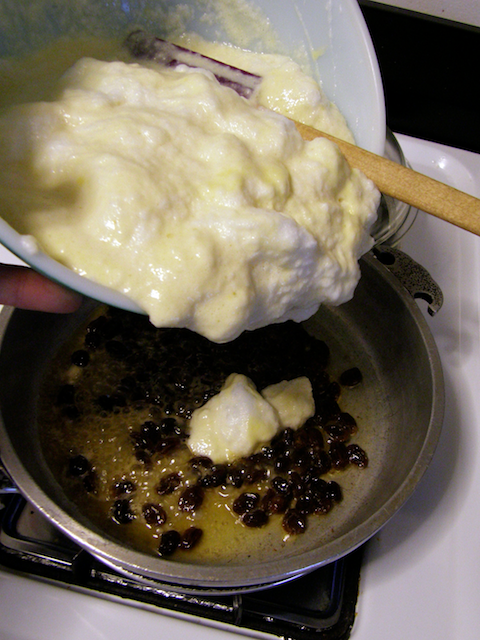 Meanwhile, add butter to fryer, lightly sauté raisins. 4. 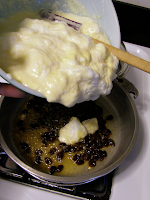 Fold egg whites into batter and pour over butter and raisins. 5. 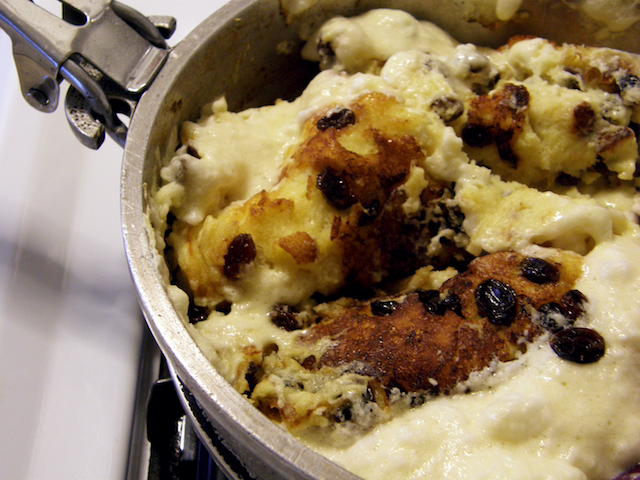 When the edges of the batter begin to brown, gently cut through the batter with a spatula and fold over in the pan, scrambling the batter while browning the resulting dumplings on all sides. 6. Serve immediately with powdered sugar, drizzled with warm raspberry sauce.